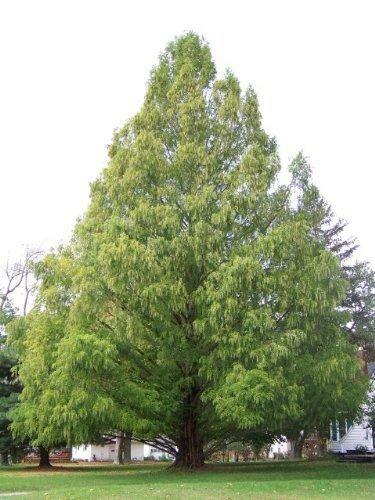 Dawn redwood is a deciduous tree that grows in a conical shape up to 100’ tall. 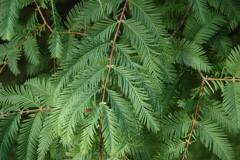 It is related to and closely resembles bald cypress and redwood. As the tree matures, the trunk broadens at the base and develops fluting. Bark on mature trees is often deeply fissured. It features feathery, fern-like foliage that is soft to the touch. 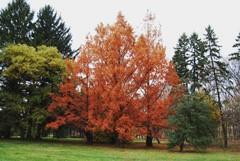 Foliage emerges light green in spring, matures to deep green in summer and turns red-bronze in fall. Best grown in moist, well-drained soils in full sun. Best foliage color is in full sun. Appreciates consistent moisture. Tolerates some wet soils. This is a large tree that needs a large space. Excellent landscape specimen or street tree.